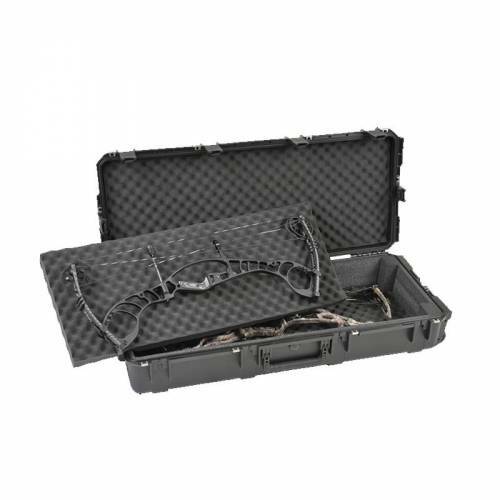 The 4217 Double Bow Case offers the maximum in protection for two of the wider parallel limb bows with a rigid foam bunk-bed system for protection and stable positioning and convoluted foam in the lid for secure positioning and cushioning of your gear. 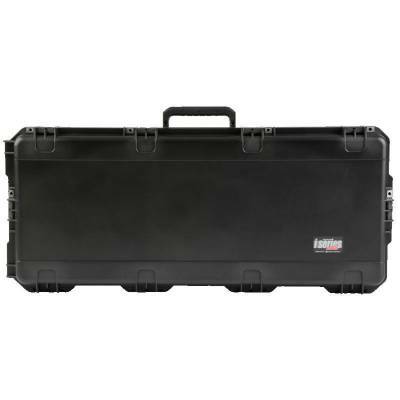 The MIL-STD Injection Molded Parallel Limb Bow case has a uni-body design, which eliminates the need for excessive metal reinforcing hardware found on traditional flight cases. The iSeries injection molded waterproof cases are constructed of ultra high-strength polypropylene copolymer resin and feature a gasketed, waterproof and dustproof, submersible design (IP67) that is resistant to corrosion and impact damage. The molded-in hinge with stainless steel hinge pins, patented "trigger release" latch system, comfortable, snap-down rubber over-molded cushion grip handles, secure stacking, and automatic ambient pressure equalization valve (MIL-STD-648C) all contribute to its military grade design. The 3i-4217-HDB MIL-STD Injection Molded Parallel Limb Bow Case is covered by SKB's unsurpassed Lifetime Warranty and the $1500 Content Coverage if your gear is damaged by an airline.